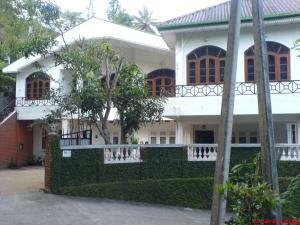 Just 400 metres from the Temple of Tooth Relic in Kandy, Fairlee Guest House offers rooms in Kandy. Free Wi-Fi and parking on site are featured. Kandy Town is 900 metres away. The room includes a seating area. The bathroom comes with a shower, bidet and free toiletries. Some rooms are air-conditioned. Sri Lankan and Continental dishes will be provided on request at an added cost. Peradeniya Royal Botanical Gardens are 5 km from Fairlee Guest House. Elephant Orphanage is 40 km away while Katunayake International Airport is 100 km away.